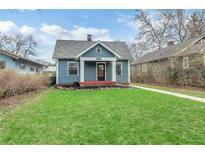 Find Broad Ripple, IN Homes for sale. View Photos, Maps and MLS Data Now! Meridian Kessler Terrace - The yard is well landscaped with mature maple trees you can tap for your own maple syrup and a cherry tree that makes the best cherry pie. 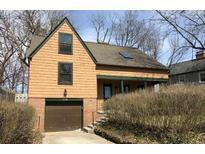 MLS#21633525. Front Porch Real Estate, LLC. 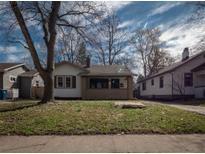 Morton B Dawson - Just steps to Broad Ripple Park & Dog Park, ½ mile to The Monon Trail, ½ mile to Downtown Broad Ripple restaurants, bars & shops! MLS#21630999. Keller Williams Zionsville. Meridian Kessler Terrace - New siding, gutters and insulation in 2018. MLS#21632862. 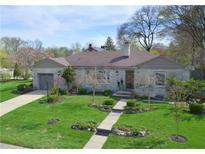 Keller Williams Indpls Metro N.
At the end of the day, retreat in the spacious Master Suite with garden tub & separate showers. MLS#21632760. Keller Williams Indpls Metro N.
Meridian Kessler Terrace - The lower level features a family or game room, bonus room, excercise room and walk in cedar lined storage area. MLS#21632690. The Elite Advantage, Inc..
Northcliffe - Newer: sewer line, roof, gutters, windows, water heater, fence... the list goes on. Welcome home to 6033 Indianola! MLS#21623255. F.C. Tucker Company. Ashland - Not a through street which limits traffic and parking is not allowed on the house side of the street. MLS#21632102. F.C. Tucker Company. This home also includes a Bonus room or 4th bedroom w/ private on suite, fenced area, custom covered boat dock, irrg system plus much more. MLS#21628862. RE/MAX Legends Group. Bellmore - And a one block walk to the Monon Trail. 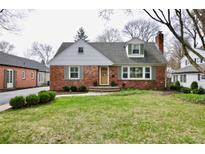 MLS#21626333. M.S. Woods Real Estate, LLC. Please Be Sure To Check Out The Upgrades List In The Supplements!! ! MLS#21627810. Keller Williams Indpls Metro N.
Entertain in the back yard with breath-taking views, multi level stone patios, fire pit, mature trees and floating dock. MLS#21626834. F.C. Tucker Company. 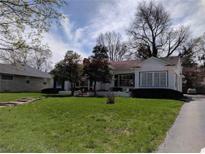 Norwaldo - This home is a special both inside and out! MLS#21623047. Carpenter, REALTORS®. 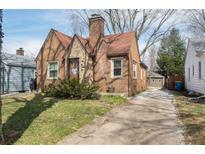 Northcliffe - Walking Distance to Broad Ripple Village, Park, and Restaurants. Don’t Miss this Home! MLS#21623321. Berkshire Hathaway Home. Morton B Dawson - You don't want to miss this one! MLS#21623690. Red Hot, REALTORS LLC. Meridian Kessler Terrace - As Of 03/26/2019, This Home Is Having A Brand New Concrete Driveway Installed From The Street To The Garage Including A Three Point Turn Around For Convenience. 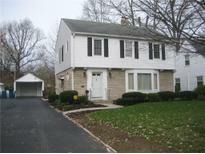 MLS#21619928. RE/MAX Ability Plus. Norwaldo - Covered patio, detached 2 car garage, partially fenced yard! MLS#21618906. Edge Property Group, LLC. The back deck is perfect for entertaining or to relax and watch the views! MLS#21613538. Keller Williams Indy Metro NE. Oxbow Estates - Enjoy the tranquil views while entertaining family and friends on the expansive deck. This is a must see! MLS#21609922. Encore Sotheby's International. 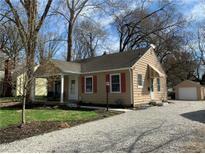 Dawnbury - Full basement and right across from Broad Ripple Park. MLS#21609231. Jones Real Estate Group, LLC. Northcliffe - Fenced in backyard leads to 2 car garage. MLS#21605225. Thompson Home Sales. Northcliffe - 21x9 Covered patio. Seller has never used fireplace. MLS#21605631. Berkshire Hathaway Home. Meridian Kessler Terrace - Large Yard For This Area. Come See! MLS#21602972. ALL Premiere Real Estate Group. Norwaldo - Completely remodeled top to bottom you will enjoy the open concept living on the main floor and be surprised by the endless possibilities in the full basement. Home never felt so good. MLS#21603029. CENTURY 21 Scheetz. Meridian Kessler Terrace - Cozy up in this amazing home today! MLS#21597430. Keller Williams Indy Metro NE. These statistics are updated daily from the Metropolitan Indianapolis Board of REALTORS® Multiple Listing Service. For further analysis or to obtain statistics not shown below please call Highgarden Real Estate at 317-315-3147 and speak with one of our real estate consultants.